Well, it's that time of the year again. 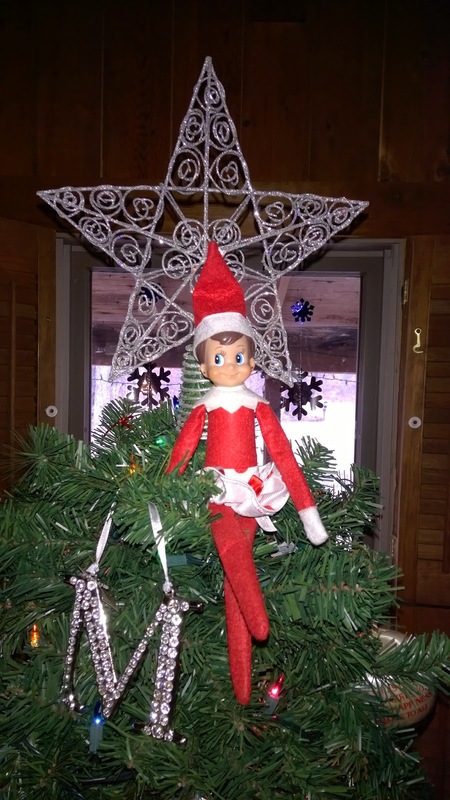 All the elves have made their way back to their families and ours has shown up right on time. 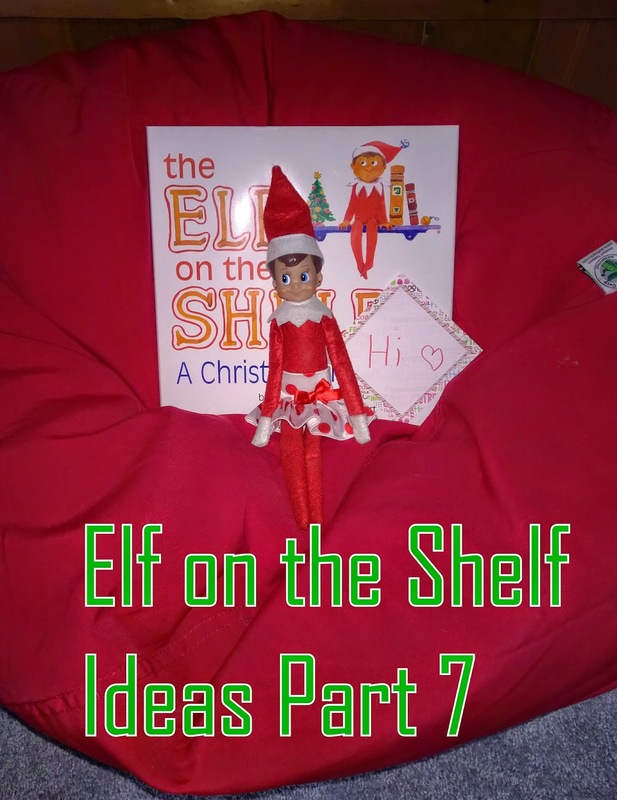 We first met our elf 2 years ago, Mason was just 8 months old so he didn't understand and Marley hated it. 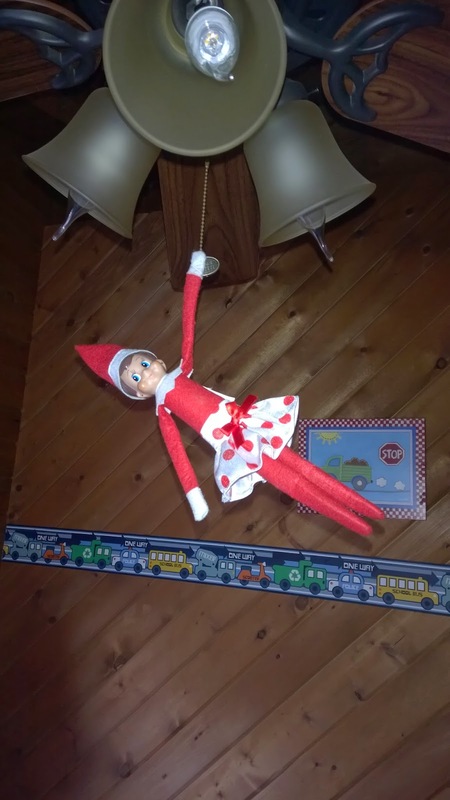 She said it was creepy and scared her. She did name him Jack though, but never really enjoyed it. 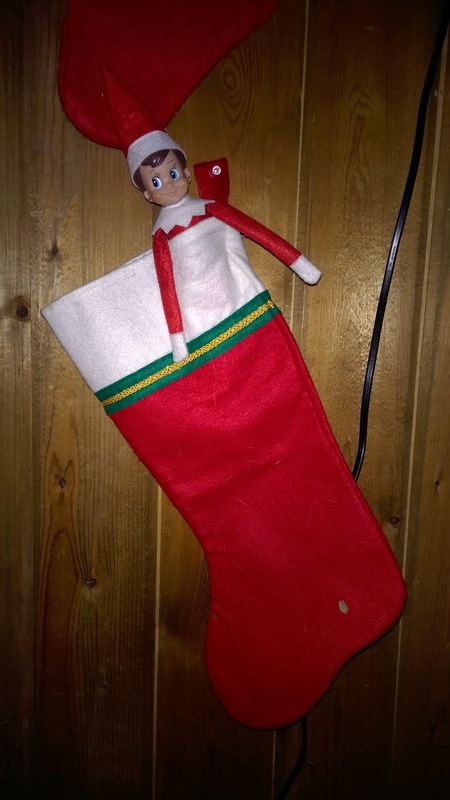 Last year, our elf didn't come because we were in the process of moving into our rental and he must of been lost. This year, Jack didn't come again. 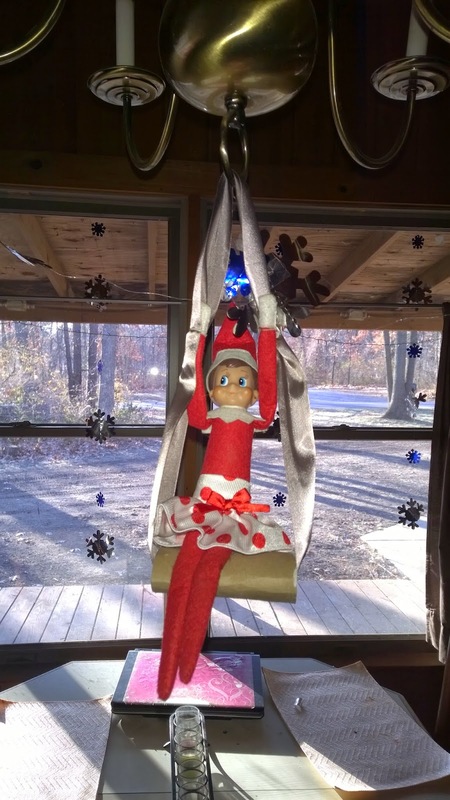 A girl elf showed up instead. 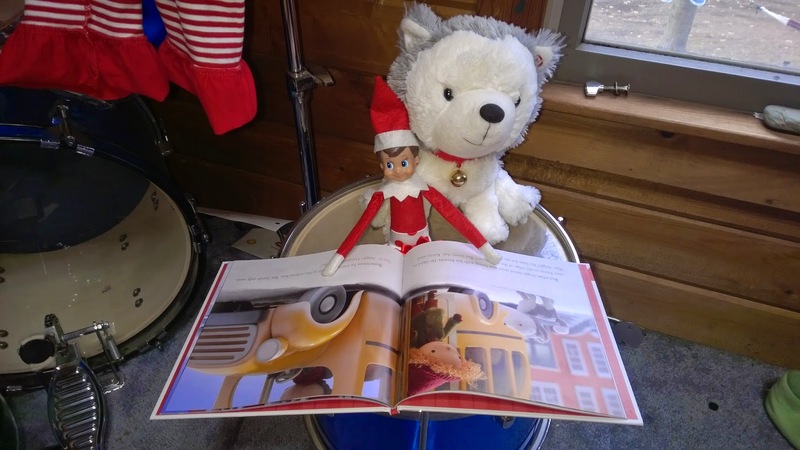 Mason's older and Marley still wasn't thrilled to have an elf, but we read the book and decided to name her Jingle Bell. She's been around for almost two weeks and so far so good. Marley seems okay with her. 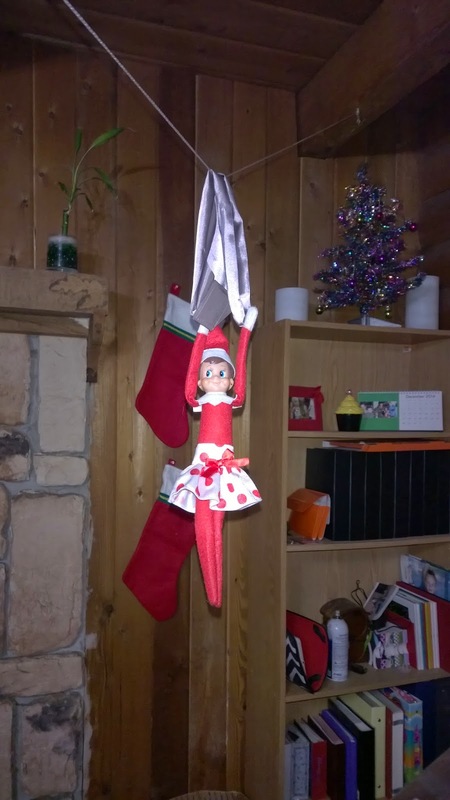 Maybe because Mason likes the elf, Marley decided it's not too bad. 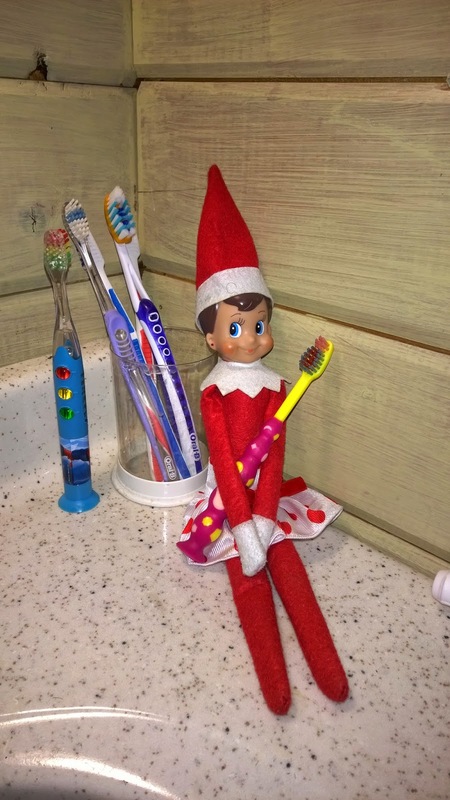 Not sure, but glad there's no tears over an elf on the shelf. 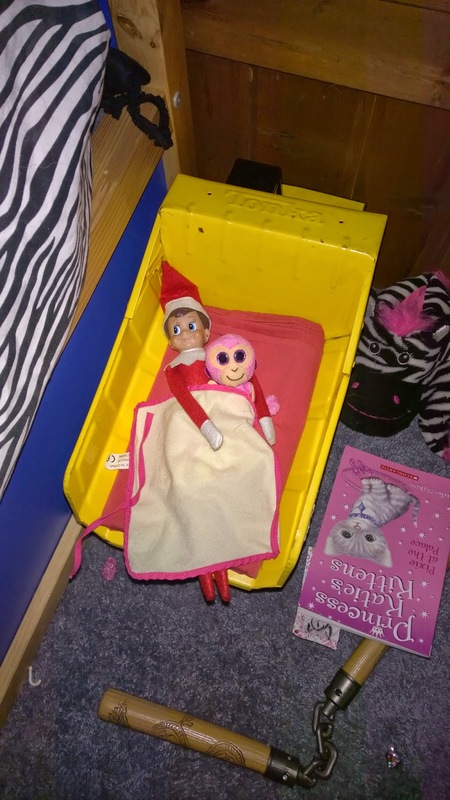 Here's what Jingle Bell has been up to so far.